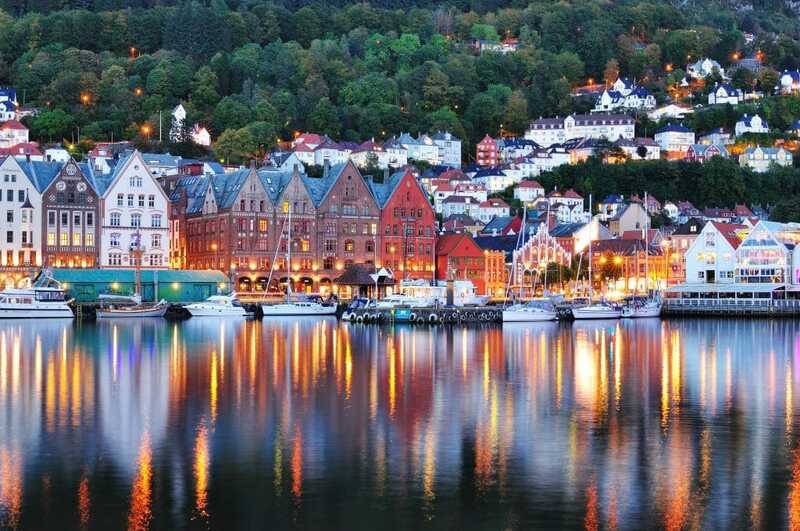 A gem in Scandinavia, Norway is characterized by its deep fjords and rugged coastline. It was once a land of Viking kingdoms and has always been known for its varied scenery. Riddled with national parks, Norway is sparsely populated, and is instead home to open stretches of unspoiled nature. Hills, mountains, valleys and waterfalls are the stars of the show, although Norway is sprinkled with cities that thrive with the culture you expect from the world’s biggest metropolitans. 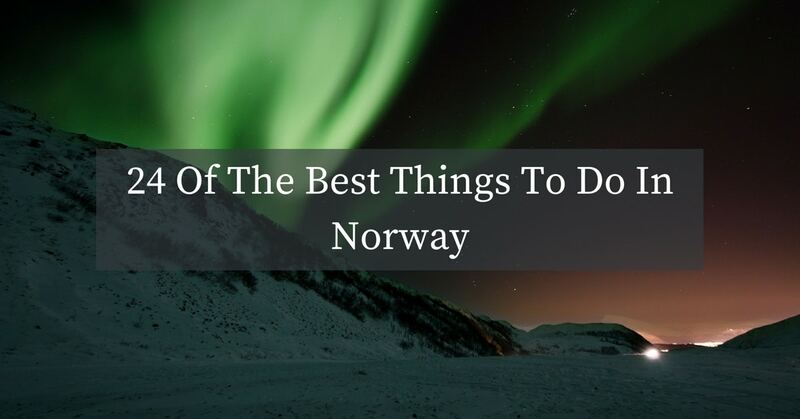 You won’t want for things to do in this country, but if we have to narrow it down, here are 24 of the best things to do in Norway. Considered to be one of the most beautiful fjords in the world, this site has become one of Norway’s most famous. It has taken a spot on the World UNESCO Heritage list and sits 260 meters deep amongst mountains that reach 1700 meters in height. The site is characterized by long forgotten farms, raging waterfalls, and dramatic cliffs. The best way to see it is by boat, which allows you to get close to the waterfalls and take in the best views. Vikings have been essential to Norway’s history and there is no better place to learn about them than in the museums of Oslo. The Viking Ship Museum in particular is a top attraction for both history buffs and eager travelers to deeper learn about the country’s past. The museum is most famous for the perfectly intact Osberg Ship that was excavated from the largest ship burial on earth. Other attractions include artifacts like horse carts, wood carvings, and beds, as well as other notable ships. This natural phenomena is on the bucket lists of many, and Norway is one of the top destinations in the world to experience them. October through March is the best time to see the green swirls of light, although there is never any guarantee. Head up to northern Norway to get the best views. This area is full of options for viewing that include restaurants, cruises and tours. You can’t visit Norway without hiking, and the Troll’s Tongue is one of the most scenic treks. This cliff is 3,609 feet above sea level and actually extends out 2,297 feet above Lake Ringedalsvatnet. This hike isn’t for the faint of heart and is recommended only between mid-June and September for fit and able hikers. The whole hike can take 8 to 10 hours and trekkers are warned to come prepared with plenty of food, water and clothing. While it may seem intimidating, the views from the top are some of the best in Norway. This fairytale town is the best place to experience one of Norway’s iconic Christmas markets. The town itself is considered a UNESCO Heritage town which is made up of small streets and antiquated, wooden houses. Visitors can take a horse drawn carriage from the station into the center of town during the 5th to the 7th of December for the market. Try the famous butter, reindeer meat and the beer. Visitors can also feed Santa’s reindeer! 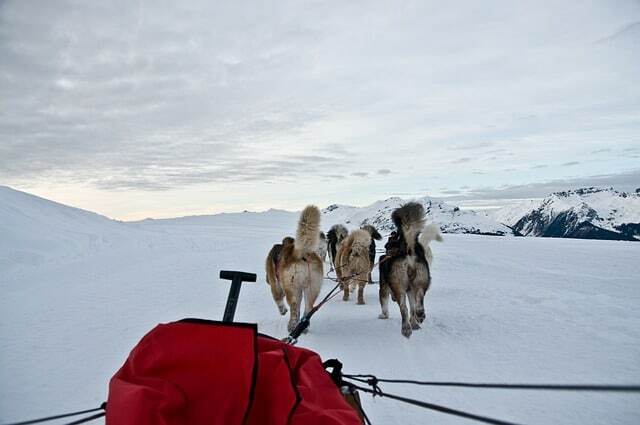 Animal lovers can rest assured that the Huskies pulling the sleds are well taken care of. In fact, these dogs love to run and will be excited to take you out through the winter wonderland of the Norwegian forests. Dog sledding can be done all over the country and there are different tours and experiences that can be booked depending on what you’re looking for. This authentic and youthful area in Oslo is a treasure within the city. The area is full of students, cafes, art, and boutique shops, offering a very Indie and entrepreneurial vibe. This is a great place to purchase Nordic furniture, go vintage shopping and find locally made arts and crafts. Take shopping breaks in the welcoming cafes and restaurants which serve innovative and tasty treats. Situated in the northernmost island of the Vesterålen archipelago, this dramatic beach is considered one of the most beautiful. The weather here is actually quite mild considering its northern location and the rugged mountain ranges are breathtaking. There is a great coastal trek that reaches from Stave to Bleik and can be completed in around 9 hours. The panoramic views make the trail popular with both hikers and photographers. Bird watchers will love it too because they have the chance to see the nesting colonies of shags, puffins, guillemots and kittiwakes. If you really want to learn about the Vikings, a great way to do it is through their food. 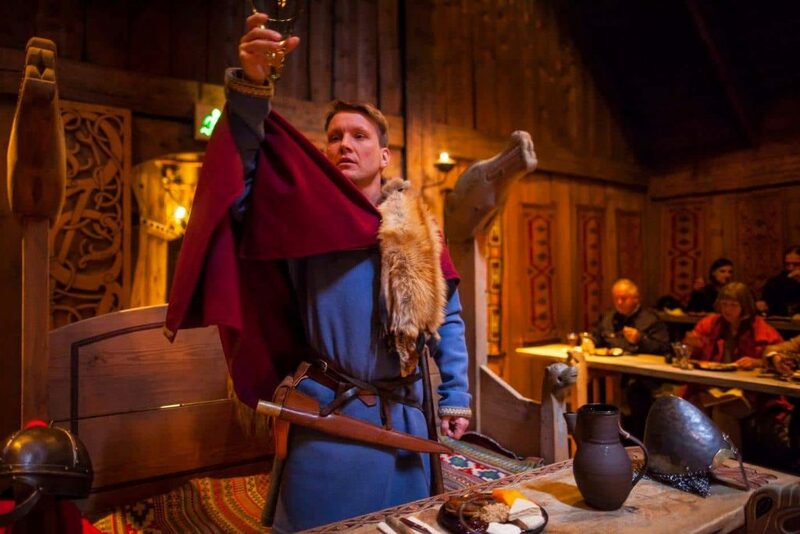 Located in the small town of Borg, the Lofotr Viking Museum puts on authentic feasts for visitors from April to September. The feast is located inside of a replicated longhouse and features lamb, costumed hosts, dancing, singing and homemade mead. Because it’s so vast and scarcely populated, Norway offers 18 scenic roadways that take motorists through the landscape. The most beautiful of these paths is the Atlantaterhavsveien, otherwise known as the Atlantic Road. It stretches for 5.2 miles and spans across islands and between villages. Stop at one of the four scenic rest stops, go fishing along the way or just cruise the whole thing straight through. Due to the Gulf Stream, warmer waters are actually brought to Norway during the winter months. Go scuba diving in these areas which are rich with underwater life and marvel at the stunning kelp forests and neon colored coral reefs. Visit World War II shipwrecks like Gulen, Narvik and Sorlandet or the small village that rests at the bottom of Lake Lygnstoylsvatnet. If you decide to dive during January and February, this is the best time to witness killer whales. 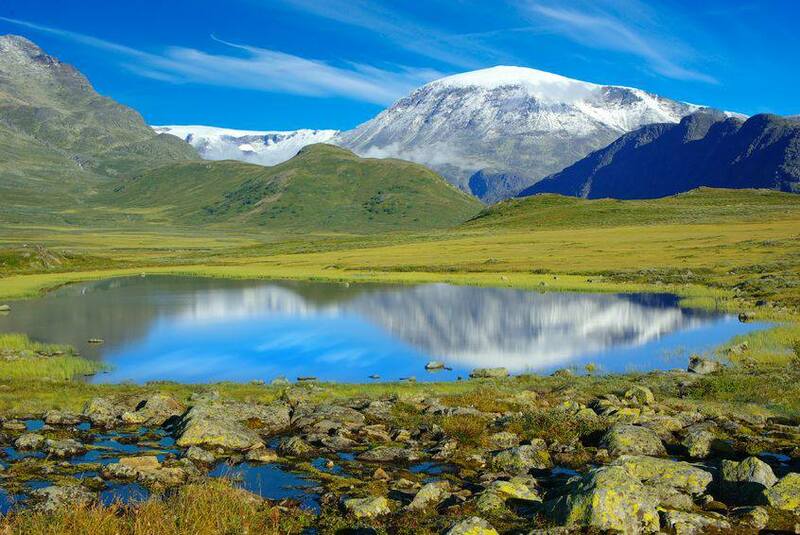 While Norway is full of national parks, Jotunheimen is one of the best to visit. The name translates to ‘Home of The Giants,’ and the park is made up of 60 glaciers and 275 summits that reach over 2000 meters. It is home to Norway’s highest peaks, is close to the fjords and has some of the best hiking trails in the country. If you visit, make sure to tie up your trekking boots and head out on Hurrungane and Besseggen trails. Want a romantic and scenic getaway while visiting Norway? This rail journey is a must! It’s actually considered to be one of the most beautiful rail journeys in the entire world, and shows off some of the country’s best scenery. The train takes riders through the dense forests of the south and then climbs up the Hardangervidda Plateau. It continues on down through Voss and then to Bergen. Be ready to see a whole lot of nature and fjords. This city is located 400km north of the Arctic Circle, making many of its establishments the most northern of their kind in the world. While visiting, make sure to check out the cathedral, botanic garden and brewery and the busy club scene. It is a university town so there is a whole lot happening, and during the summer, the area receives 24-hour daylight! 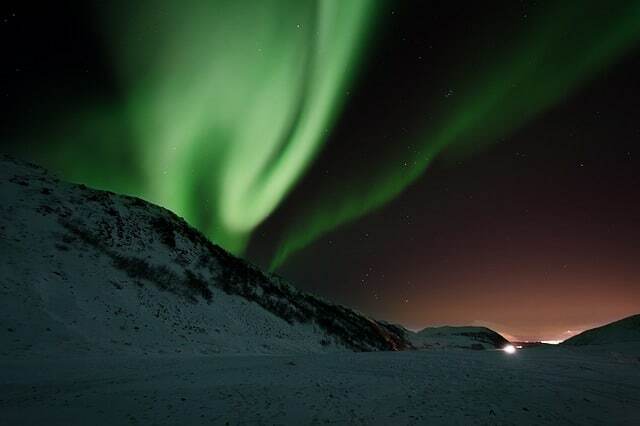 But, when the first snow falls, this is the best time to start looking for the northern lights. This giant bolder is oddly stuck between two mountains, essentially hovering above more than 1000 meters worth of abyss. 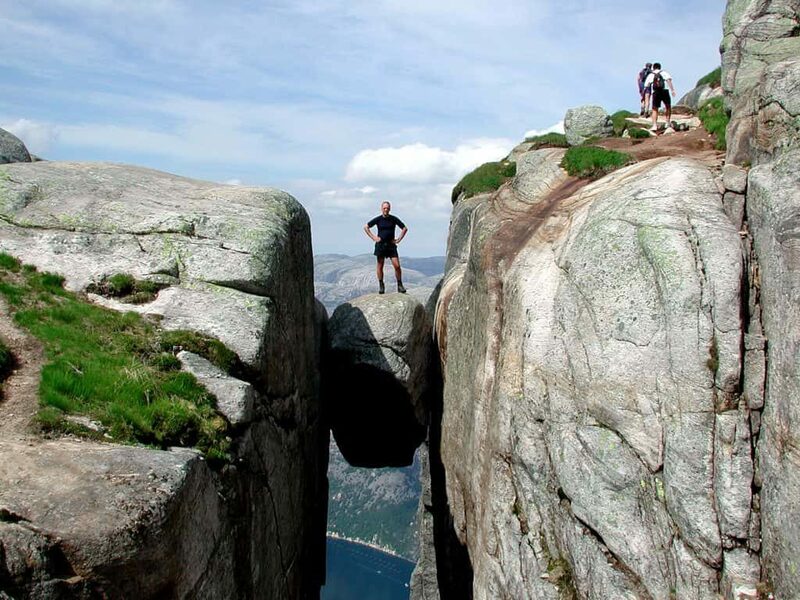 The intriguing sight can be found near the end of Kjerag mountain which is a popular hiking area in general. While it may look intimidating, the boulder is actually quite accessible by foot, so if you’re brave, you can walk on to it for a photo. It’s been called one of the most beautiful cities in Europe, largely because of its coastal landscape which features mountains and fjords. It is listed on the World UNESCO Heritage lineup and has a rich history of seafaring. The waterfront area of Bryggen adds even more charm as its wooden buildings show off its history. Once houses, these buildings now hold trendy boutiques and traditional eateries. It’s one of the most iconic viewpoints in the entire country. This lookout is set atop a sheer cliff that juts out over the ocean by more than 600 meters. While it looks nerve-wracking and a bit dangerous, you will be sure to see hundreds of people on top of it, checking out the views. Reaching it does involve about a two-hour hike and the whole journey makes a great day trip from Stavanger. 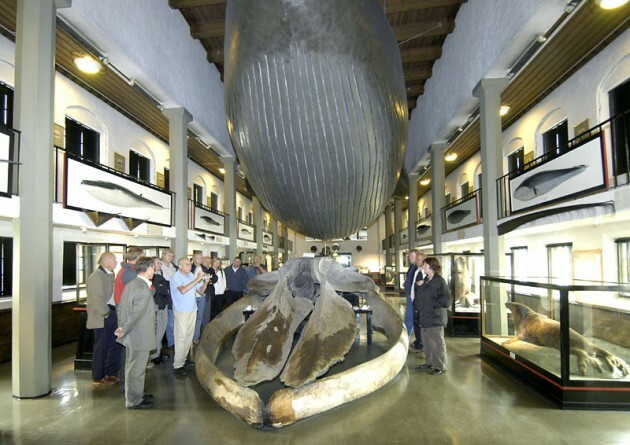 Dedicated solely to whaling, this is the only museum in Europe of its kind. It’s located in Sandefjord and has exhibits that teach the history of whaling using giant whale models and a display of whaling ships. The museum was built in the early 1900s and has evolved over time. Now, it features historical exhibits, a zoological portion and a full-sized whale recreation that hangs from the ceiling. Located under the Nigardsbreen area of Jostedal National Park, this ice cave was discovered by researchers in 2007. After crawling through the opening which was only about 5 meters, researchers took one look at the grotto and dubbed it the ‘ice cathedral.’ Once inside, the cave measures about 8 meters in height, 20 meters wide and 30 meters deep. Enterance is with a guide only. It’s a tourist destination that remains popular year-round and is located in the southern region of the Gudbrandsdal Valley. There is a ton to do here for visitors, including the Malhaugen Park which is an open air museum. It features over a hundred historic buildings as well as a stave church, workshops and 18th century farmhouses. The entire area dates back to the 1700s and is an absolute haven for anyone who loves history. Visiting in the winter is perfect for winter sport lovers as there are sleigh rides, skiing, curling and skating. Svalbard is a chain of islands that is considered part of Norway. The archipelago is one of the country’s best spots for seeing wildlife as it’s home to 3,000 polar bears, seals, walruses and reindeer. 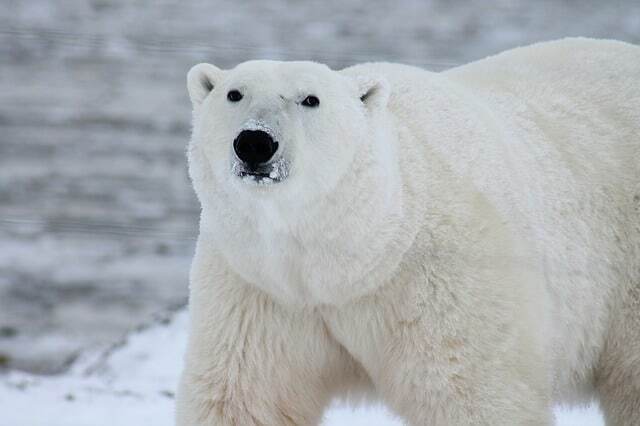 Visit during the summer and take a boat cruise around the area to do some wildlife viewing in the Arctic. Most of Svalbard is glacier and there isn’t much infrastructure which makes it impossible to visit alone. Instead, look into the boat tours that run frequent trips around the area. This waterfall stands at 50 meters high and is one of the most popular tourist attractions in the country. Visitors get a thrill by standing behind the raging falls while walking along the path that goes right behind it. At night, the falls are illuminated in colored lights, making it a beautiful sight even after dark. For an authentic, old-school experience in Norway, a visit to one of the oldest fishing villages is a must. Most visitors here will stay in original fishermen cabins that have been renovated with the latest in technology and comforts. The mountain scenery is rugged and makes a perfect backdrop for a visit. Those who love the outdoors will have a great time during their stay as there are tons of activities to be had. Guests can rent boats, go fishing and hiking, and check out the galleries and museums when they tire of the sun. Located in Romsdal, this wall is part of the Trolltindene mountain range and stands at 3,600 feet. Apparently, it’s Europe’s tallest vertical wall. It’s height and drastic scenery make the Troll Wall extremely popular with base jumpers and climbers. Even if you aren’t an adrenaline junkie, you can still visit the area to do a hike or just take some photographs. The views are out of this world. Norway has got the cities, the landscape, the culture, and the wildlife to keep you busy for your entire trip. Every day can be filled with another adventure so get out there, bring this list and start exploring this beautiful country. 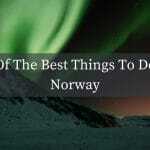 If you want to enjoy the very best of Norway, have a look at our Ultimate Norway luxury tour itinerary.